Fitness First has announced a market leading initiative to provide members with the right support to stay motivated on their fitness journey, launching a new mobile app KuboFit, and offering new members and existing members an Apple Watch Series 3 as part of their Fitness First membership. In a February 2018 research poll, findings show that while almost a third of Australians (29%) are exercising at the gym at least once a week, nearly half (47%) of the population sites laziness (e.g. lack of motivation or a reluctance to push oneself) as a primary barrier to fitness. 32% of respondents said being able to track their fitness would help keep them motivated, and 40% said that setting fitness goals would keep them on the straight and narrow. Share their workouts both inside and outside the gym with their personal trainer, using the Activity Sharing feature of Apple Watch. With just a tap of their Apple Watch, members can now seamlessly pair it with TechnoGym treadmills, ellipticals, indoor bikes and stair steppers. This industry-first innovation allows data not previously communicated to exchange seamlessly like heart rate, calories burned, distance, speed and incline. The offering gives members the most accurate and holistic activity tracking available. “We are here to motivate our members and to help them go further in life – this is at the heart of what we do, and it’s what we promise to deliver every day at Fitness First,” said General Manager of Fitness First Australia, David Aitchison. “Our research shows that Australians’ primary motivations for going to the gym are to feel good about themselves (60%) and to feel fit and strong (53%), and it’s our priority to help these goals become reality,” said Michael Cunico, National Fitness Manager at Fitness First. “This is the next step in our ongoing commitment to support our members’ fitness journeys. Specifically, our members need to feel that they’re making progress and that they have choice. 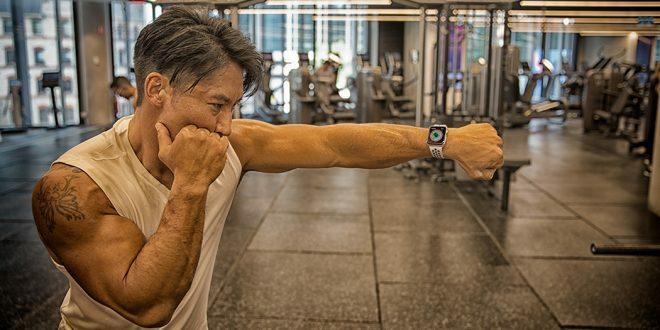 Our focus on demonstrating our breadth of fitness offering and encouraging class participation though KuboFit – in conjunction with tracking and monitoring their workouts with Apple Watch will ensure that they stay motivated, engaged and ultimately fitter for longer,” said Michael. KuboFit is currently available to iOS and Apple Watch users, with Android coming soon. Article content taken from original press release.